This site is all about Executive Leadership Coaching. I am Guy Harris, and I own this site. I often introduce myself as a recovering engineer, and my primary blog is titled: The Recovering Engineer Blog. On this site you will find a number articles that I have written on topics like team leadership, workplace conflict resolution, and championing change. When I find other interesting resources for people interested in executive leadership coaching, team building, and other related topics, I link to them or provide them here. For example, this site contains a full page dedicated to RSS feeds from some really great blogs. I also have a page with the feed from my main blog. Some of the links on this site are affiliate links (meaning that I will be compensated if you choose to purchase the products or services that I recommend) and some are not. I am an executive leadership coach. I began my career in the U.S. Navy as a Submarine Engineering officer, and then I continued my engineering career in the chemical industry. As I worked in various technical environments, I began to see that people issues became the challenges I often had to overcome in order to get things done. As a result, I began to dedicate myself to the study and application of principles of human interaction: understanding behavioral styles, motivation concepts, influence principles, team dynamics considerations, conflict resolution, etc. As I grew in my personal ability to use these skills, I began to teach the principles to others. This teaching and training work has, over time, grown into personal and team coaching for business and non-profit leaders both. Thanks for stopping by this site. 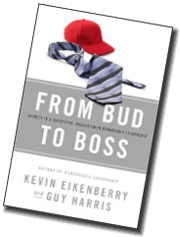 I hope you find it useful in your search for executive leadership coaching services and resources. If I can help, feel free to contact me to schedule a time to speak.